Nouba - Divinouba - 033 - 65Superb, innovative, compact, hybrid skin perfector powder, of delicate softness and light consistency. Uniforms the complexion naturally due to the presence of micronized, coated pigments. Modular coverage and highly sensorial. 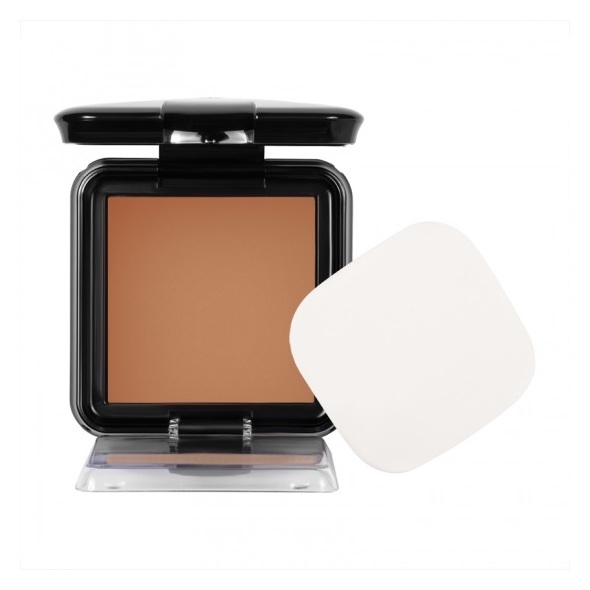 Presented in a fabulous easy to use compact with mirror and sponge. Compact velvety powder. Highly recommended for photo-ready make up. Formula created with micronized pigments coated in soft silicones for a light and uniform film. Cross polymers for a soft and delicate touch. The soft focus complex minimizes optically the small imperfections, making the complexion uniform and silky. Apply to fix the make up or alone, immediately after the face cream for a “velvet skin” result.